We love having you join us for class, and we hope that the following attendance/cancellation policies will enhance your experience at the studio! – Please arrive at least 15 minutes early for your first class so that we can get you checked in and ready to get started! – Please be at least 5 minutes early for your class (after your first class, see above). You may not be allowed to enter class if you are late. If you are not on time for class, we may also allow another student to take your spot. – We know life happens, but we ask that you cancel at least 2 hours prior to class start time. If you miss a class or do not cancel within 2 hours prior to class time, you may be charged for the class. – We require that you wear socks (no toeless please!) in the studio. Grippy socks are recommended, and are available for purchase at the studio. We also ask that you wear pants past your knees. – No need to bring any equipment to class. Water bottles are welcome in the studio! – Group and private classes available upon request. 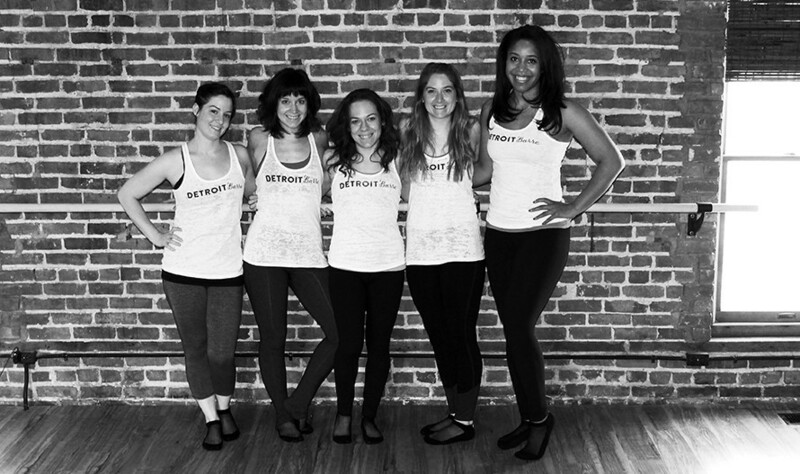 Contact the studio at detroitbarre@gmail.com for more information! – Winter Policy: If Detroit Public Schools cancel because of inclement weather, morning class will be canceled. Check MindBodyOnline or our Facebook page for up to date information about all other classes. Feel free to contact us with your questions or comments. We will get back to you as soon as we can.